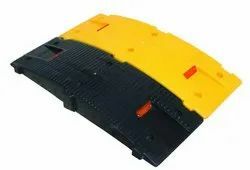 Pioneers in the industry, we offer barricade, spring post, plastic speed breaker, rubber wall guard, flexible spring post 300 mm and rubber rumblers from India. 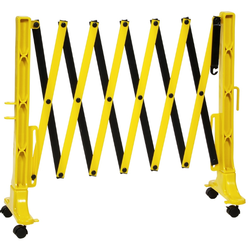 We Are Manufacturer And Dealers Of Barricade . Block Passage Or Force The Flow Of Traffic In The Desired Direction. Our Spring Post can be used in parking lots, to designate T-Zones, sharp curves, no-entry, multi-lanes as well as lane division. 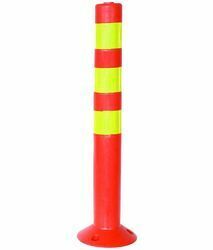 Made of polyurethane, its a one-piece design has integrated mounting holes, features 3 reflective bands, and 3/4" (orange) and 1" (red) hole at the top for flag or sign posts. 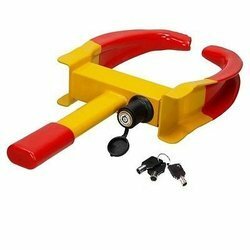 Rumblers Made From Plastic Compound & Rubber of Size 100 mm wide x 25 mm height x 500 mm Length) All sizes are available.All type of rumblers are available. 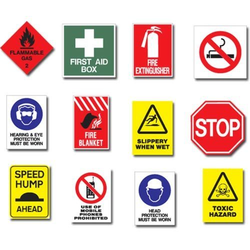 Owing to our expertise in this field, our firm is engaged in supplying an extensive array of Signage. 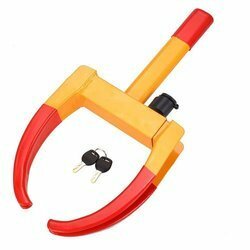 We are manufacturer and dealers of wheel clamp Suits all tyre sizes; Soft coated clamp will not scratch or damage wheels or rims; Portable and easy to store; Highly visible due to bright colors (red & yellow) Very simple and convenient set up. Frequently bought together. 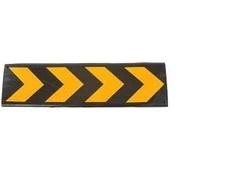 We are manufacturer and dealers of all safety products speed breakers, which are made from high grade rubber and PVC. 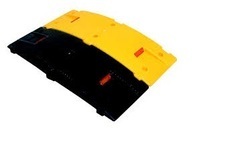 These Speed Breakers are highly resistant to various impacts and harsh weather conditions. 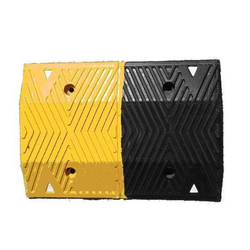 Heavy Duty Speed Breaker made of Sturdy Plastic (ABS), these bumps offer high resistance to severe impacts. The interlocking grip design allows it to behave like one single Bump. The pre-colored materials (black and yellow) and UV stabilizers result in permanent color which does not fade easily. Acrylic reflectors fixed on front and back help in identifying the location of the speed breaker from a large distance. Packaging Details: As per requirement available. 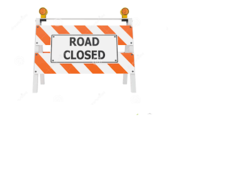 Slow Safety First Caution” road barricade sign with no background. We are manufacturer and dealers of pillar guard products Pillar Guard for Apartments, Readymade Pillar Guard offered by us. 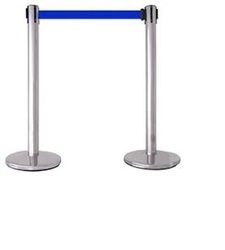 We are manufacturer and dealers of Q Manager products .Queue manager system used for many different purposes including crowd control & waiting lines, that gives a fast & easy, professional look with a dash of utility & Performance.Banks, Hotels, Hospitals, Bank, Airports, Railway Station, Malls, Shopping complex, Cinemas etc. 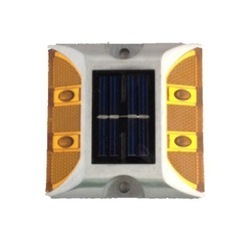 We are manufacturer and dealers of cat eyes / reflectors. Cat's eyes are particularly valuable in fog and are largely resistant to damage. cat's eye is the flexible rubber dome which is occasionally deformed by the passage of traffic .